Healthy food is the best medicine. The old saying that “we are what we eat” is as true for animals as it is for humans. It’s an underlying premise of Traditional Chinese Veterinary Medicine and the concept of food therapy — the art of choosing food ingredients based on the pet’s health condition, age, weight, breed, or geographic location. 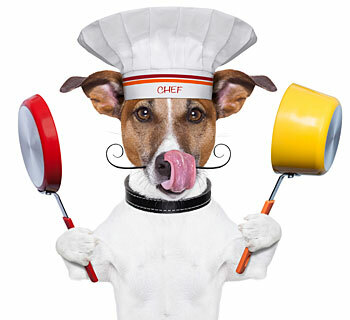 The philosophies behind food therapy can be applied to any form of pet food from kibble to canned, freeze-dried. raw, dehydrated or home-cooked. Food is key to preventing and treating disease. Various combinations of hot and cold foods are used to help maintain and support the balance of yin and yang to reach your pet’s best health. Each food item is described as having energetic properties such as warming, cooling or flavors that act on the body in certain predictable yet different ways. When disease occurs, certain foods help return the body to a balanced state. Various case studies suggest that pets experience virtually no side effects when food ingredients are chosen correctly. We’ve witnessed successes with our Acupet patients as well, and one of the best selling points — at least for our pet owners — is that food therapy can be throughout a patient’s lifetime. Good food is more than what your pet prefers to eat. It’s often the difference between a playful pet and one that lounges around. Food is also a clue to what’s going on inside your cat or dog. Any sudden change in your pet’s eating habits or a sudden increase or decrease in weight could be symptomatic of disease. Our nutritional therapy services include not only helping you pick an appropriate commercial food but also recommending a home-prepared diet. 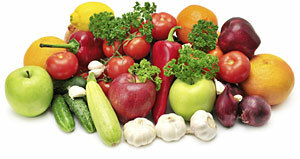 A well-planned diet can prevent many common health problems. But a “good” diet doesn’t have to be expensive. Call Dr. DuBose at (803) 226-0585 for a consultation. She’ll translate food labels, explain ingredients or customize a plan specific to your pet. For those who are interested, she will work with a veterinary nutritionist to prescribe a balanced, nutrionally complete home-cooked diet.